To me, a grand storyteller is a good listener and a great conversationalist. When people share stories and events of their lives, a good storyteller listens attentively and clearly visualizes about what is being said . Good storytellers tie the words into vivid and colorful pictures in their minds and they are usually empathic, compassionate and sensitive to others’ pain. Once they have gathered the emotions that good talks evoke, the real task is to put it down on paper and successfully create a mirror that totally engages the reader. I am an avid reader and I feel that every book changes my life in some way, as many good movies do. 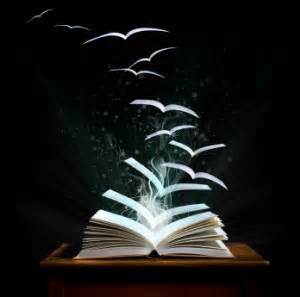 I see some new portal opened or some life view altered as I complete a good read. I am forever evolving and this helps me as a writer. I become wiser and more universal in my thinking and I am then able to incorporate some of those traits in the characters in my novels. How do you choose your characters’ names? Do you think of persons you have known? Do you think of the traits of that character? As a writer, there are many ways to make these choices, but for me, the names must have a deeper meaning. When I wrote, my two fiction novels, I used my personal dictionary of names, called The Hidden Truth of Your Name along with other electronic resources to research the meaning of each character’s name. For example, in my first book, A Golden Leaf in Time, I named one female character Flora. Flora means flower, yet this character was deceptive and appeared to be beautiful on the outside. But, she never evolved into the glorious flower she could have become because she did not develop herself on the inside. Her husband goes by the nickname of Trey in the first novel and he acts in immature and boyish ways. However, in the sequel novel, Warm Intrigues, he goes by his given name of Tyre which means rock and strength. After a long talk with his father, he better understands the importance of calling forth his parents’ idea for his life. He learns about the powerful traders of dyes from that ancient island of Tyre. He has matured after so much pain in the marriage with the imperfect Flora and he gets better life results in Warm Intrigues, where he now goes by Tyre. As with the name, he now knows he is a man and takes more responsibility for his actions. So, in writing, you might ask, “What is in a name?” For me, it is everything!